Lawyer Haniff Khatri Abdulla has criticised what he claimed were missteps by the Attorney-General's Chambers' prosecution team that led to the postponement of former prime minister Najib Abdul Razak's graft trial in relation to state-owned company SRC International Sdn Bhd. Haniff, who had previously acted as legal counsel for Prime Minister Dr Mahathir Mohamad, used the Malay proverb "tahan jerat sorong kepala" to describe the prosecution, which means attempting to get at someone but backfiring. The lawyer said it was clear that Najib's defence team was trying to delay the case but he found certain moves by the prosecution to be strange. 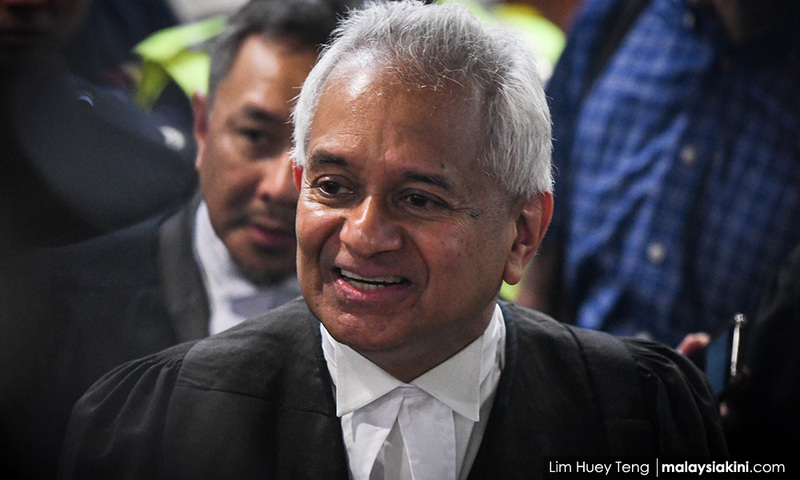 The first misstep, Haniff said, was the prosecution's decision to slap Najib with an additional three charges on the SRC International matter, in addition to the existing seven charges, just 15 days before the trial. "The question is why the need to add any more charges on SRC International when the priority, in terms of justice, is for at least one of the cases to go to trial as scheduled on Feb 12, as desired by so many who have waited for the criminal trial," he said. On Jan 28, the prosecution slapped Najib with another three charges under the Anti-Money Laundering and Anti-Terrorism Financing Act 2001 (Amlatfa) in the High Court in Kuala Lumpur, only to request Justice Mohd Nazlan Mohd Ghazali to grant a discharge not amounting to an acquittal on Feb 7. Attorney-general Tommy Thomas, in his submission, had said there was an argument over whether the three charges should be a joinder with the other seven charges. Thomas said the three charges would then be brought against Najib, separately, in the Sessions Court at a later date. Najib was recharged with the three counts of money-laundering involving SRC International at the Sessions Court on Feb 8. The prosecution also informed that they wish to transfer the three charges to the High Court. Another misstep, Haniff said, was the prosecution's decision to withdraw the certificate of transfer for the seven SRC charges, which formed the basis for the case to be transferred from the Sessions Court to the High Court. Under the Criminal Procedure Code, the transfer of a case from the Sessions Court to the High Court can be done through a certificate of transfer or a judge's discretion. Thomas (photo), in withdrawing the certificate of transfer and asking that the judge use his discretionary powers to transfer the case instead, said this was to avoid any argument that the transfer was a nullity. 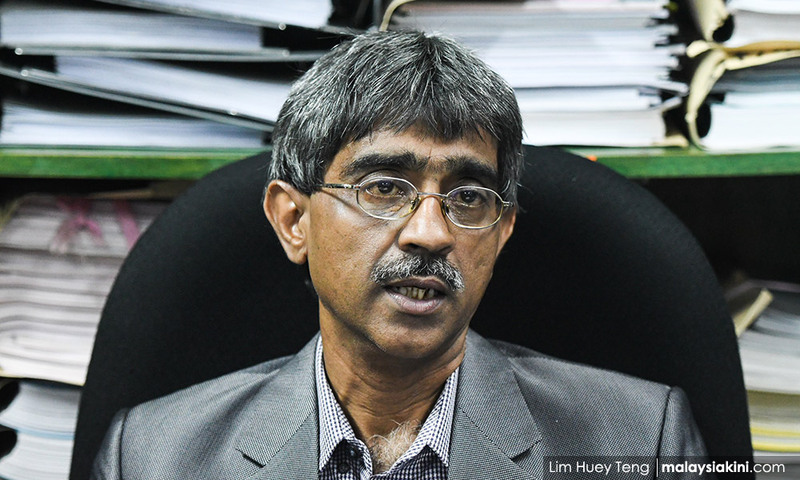 However, Haniff said the act of withdrawal itself became a point of argument, which had formed the basis of Najib's appeal and stay application that was granted by the Court of Appeal. "It allowed an opportunity for the defence to argue that no proceeding existed at that point in time for the High Court to transfer the seven charges to under Section 417 of the Criminal Procedure Code and that they should be re-mentioned at the Sessions Court," he said. Haniff questioned why it took the prosecution six months to alter the manner in which the case was transferred from the Sessions Court to the High Court, which first took place on Aug 10, 2018. He added that the move to withdraw the certificate of transfer on Feb 7 was just five days before the trial date. "Honestly, Malaysians have a right to demand that the prosecution provides a reasonable explanation for its carelessness. "It is expected for the defence to find ways to postpone and delay the trial, but it is sad and hurtful that the prosecution, which is expected to be professional, contributed to a major delay in the trial," Haniff said. The Court of Appeal today unanimously allowed Najib's stay application pending his appeal against the prosecution's withdrawal of the certificate of transfer.